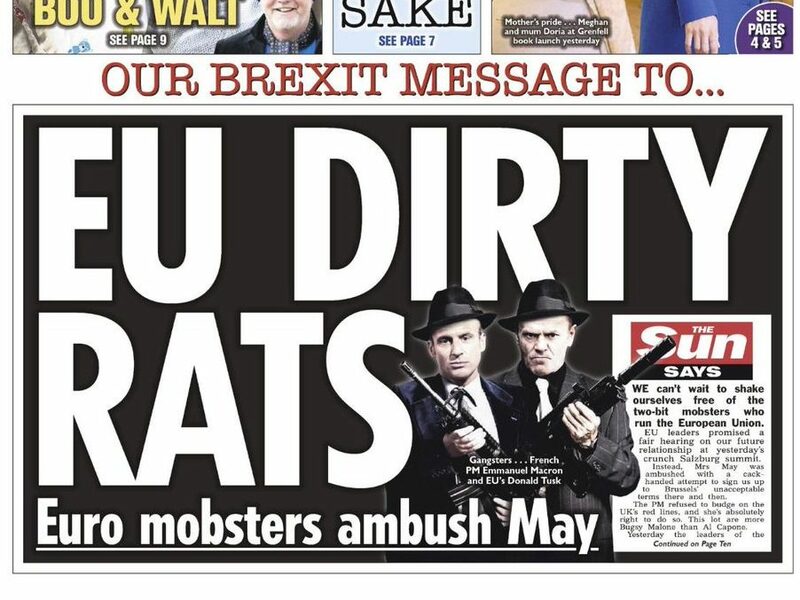 The Sun has hit back at the European Justice Comissioner after she criticised its recent front page attack on the European Union and the “two-bit mobsters” who run it. In a speech in Vienna yesterday, Vera Jourova spoke out against the rise of nationalism that promotes “exclusion and hatred” and said the Brexit debate was a good example of this. 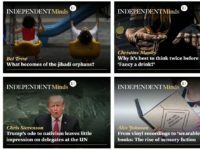 Speaking at a forum on fundamental rights in Europe, Jourova criticised two front pages about Brexit in the Sun and the Daily Mail, which were published following the EU Referendum of June 2016. 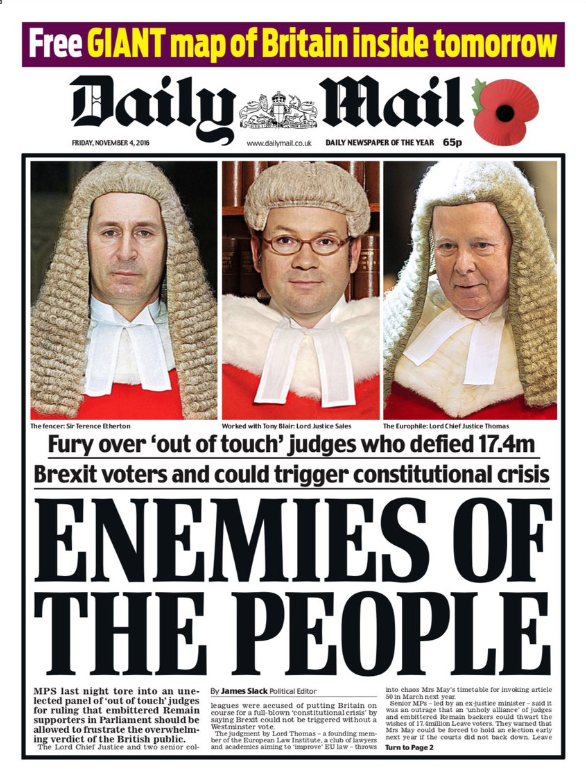 On 4 November that year, a Daily Mail splash declared the judges who ruled Brexit could not be triggered without a parliamentary vote were “Enemies of the People”, alongside photos of the three men in question. Jourova said: “Media can build the culture of dialogue or sow divisions, spread disinformation and encourage exclusion. The Brexit debate is the best example of that. “Again, do you remember the first page of a popular British daily calling the judges the ‘enemy of the people’? 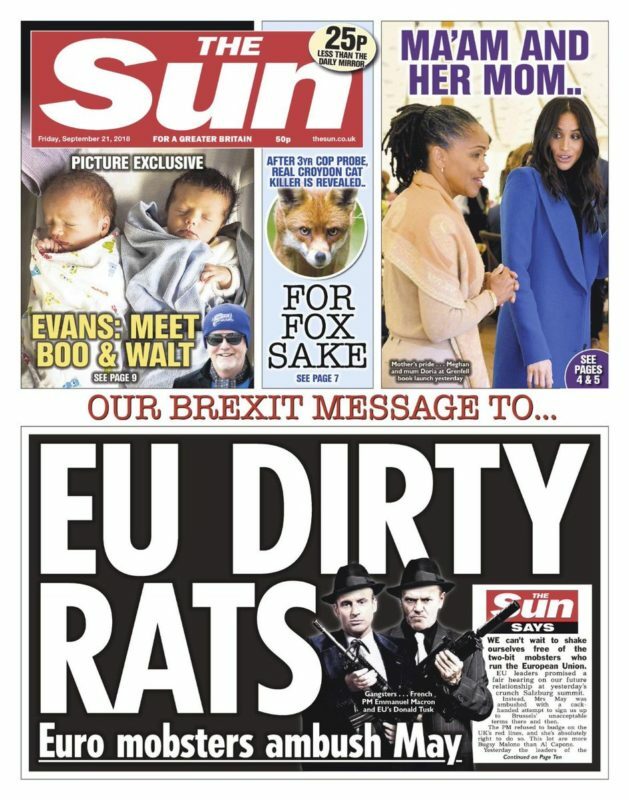 Or just last week, the EU leaders were called ‘dirty rats’ on another first page. Jourova acknowledged that traditional media is “under enormous pressure from the digital world” with falling circulations and advertising revenue meaning they are forced to cut staff, which she said had resulted in “less fact-checking, less quality reporting”. She added: “I would advocate for a European approach to media based on quality and smart regulation, if needed.” Although it’s not entirely clear what “smart regulation” would entail. The Sun has reported Jourova’s speech as a “public attack on The Sun” by Brussels and an “EU press gag bid”. It added: “Turns out Europe’s Justice Commissioner — for it is she — wants new regulation on the media as punishment for reporting the EU’s failings. “This isn’t much of a surprise. This no-mark’s Wikipedia page reveals that she’s enjoyed a lifelong ride on the Brussels gravy train. “Away from plans to muzzle the free press, another bit of the Brussels beast is refusing to let taxpayers see the details of their MEPs’ expenses. However a spokesperson for the European Commission denied that Jourova was calling for any new legislation, telling Press Gazette she was calling for more responsibility of all actors, politicians, media and opinion leaders. They added that she had already raised the issue of “smart regulation” in an earlier speech this summer in the context of the role of public broadcasters and private media. Jourova also said in her speech yesterday that public broadcasters and independent media should be supported “more broadly than just following the laws of markets”. She went on to emphasise the role of the media in holding politicians to account and “defining the limits of what is ‘unacceptable’ in a society”. She referenced the murders in the past year of journalists Daphne Caruana Galizia in Malta and Jan Kuciak in Slovakia. “I was in Malta, where I visited the grave of Daphne, in the presence of her parents, husband, sisters and son,” Jourova said. “I told her son that I wouldn’t be his mother’s friend, if she were alive. Because it is not our role to be friends with journalists. You’re deluded. Unarguably, the despicable Brexit coverage by Britain’s national press has helped to incite thousands of violent hate crimes across the UK, including the assassination of Jo Cox. Absolutely unarguably. Go and peddle your non sequitur rubbish somewhere else.